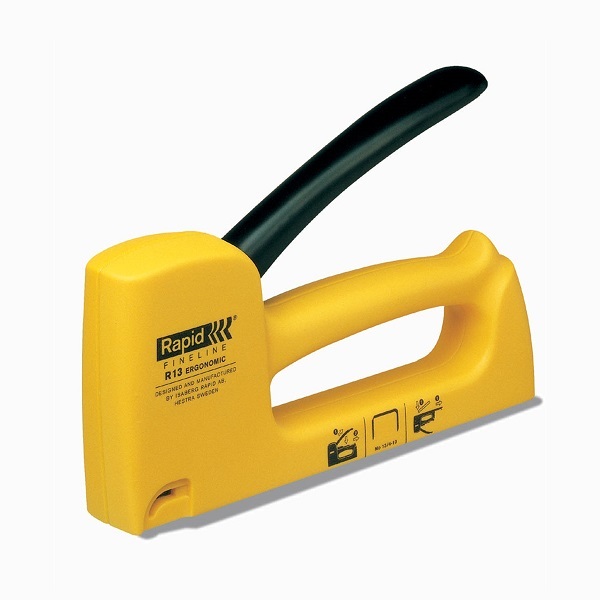 Light duty tacker with lightweight, ergonomic design and high impact force. Ideal for tacking fabrics, canvas, leather posters etc. Tough ABS construction. Comfortable grip, easy firing action and staple base. Recoilless action for effortless operation. Low staple indicator. Uses Rapid No.13/4 through to 13/10 staples. 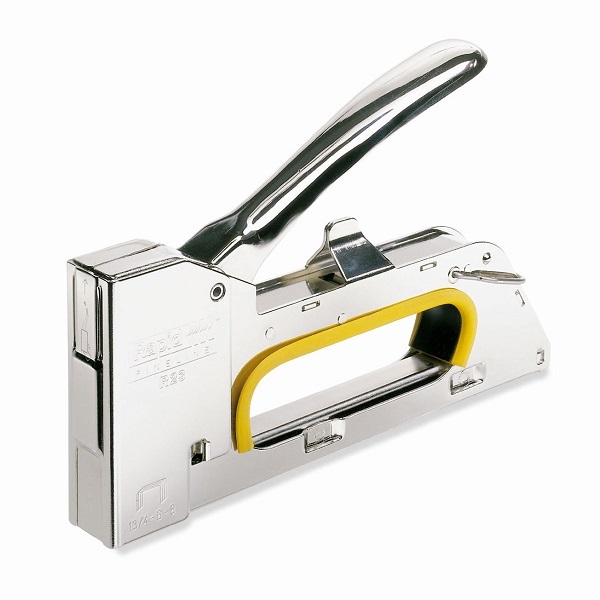 Medium duty tacker with strong ergonomic design and high impact force. Rugged steel construction. Comfortable grip, easy firing action and staple base. Uses Rapid No.13/4 through to 13/8 staples. Heavy duty tacker... a professional tool for the demanding user. 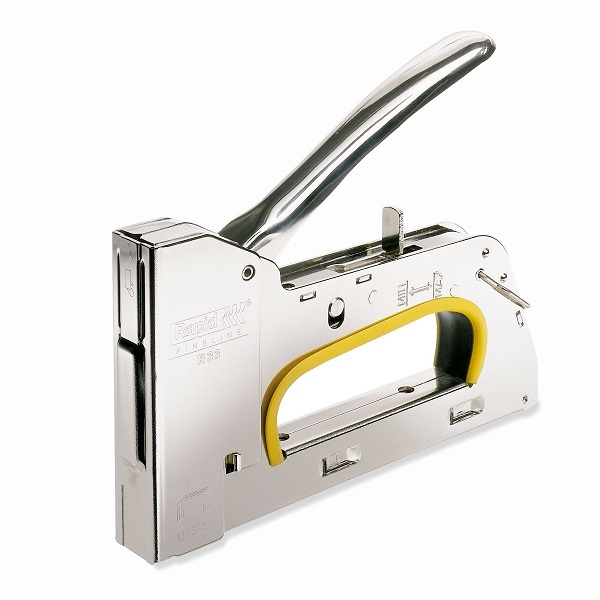 Adjustable driving force gives perfect stapling result in all materials. Recoilless action for effortless operation. Uses Rapid No.13/4 through to 13/14 staples.